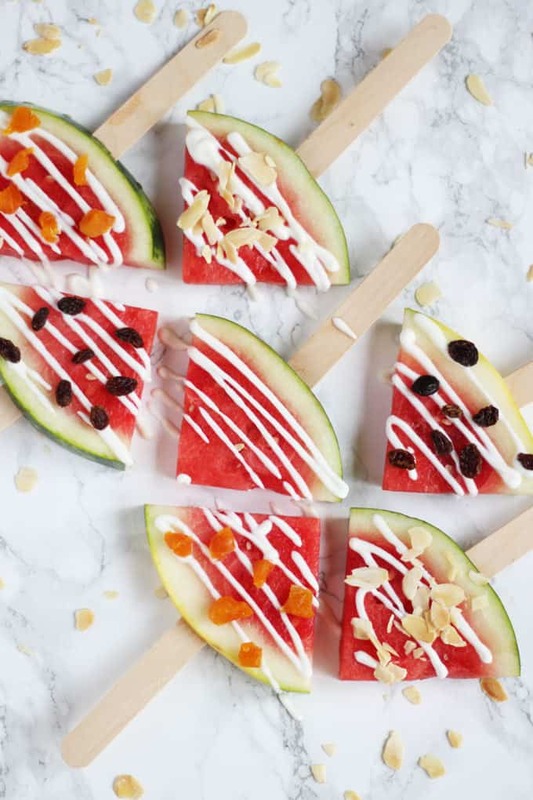 Watermelon popsicles ice lolly sticks – Perfect healthy snack foods for kids, refreshing and fun to make. Add these to your family snacking list! 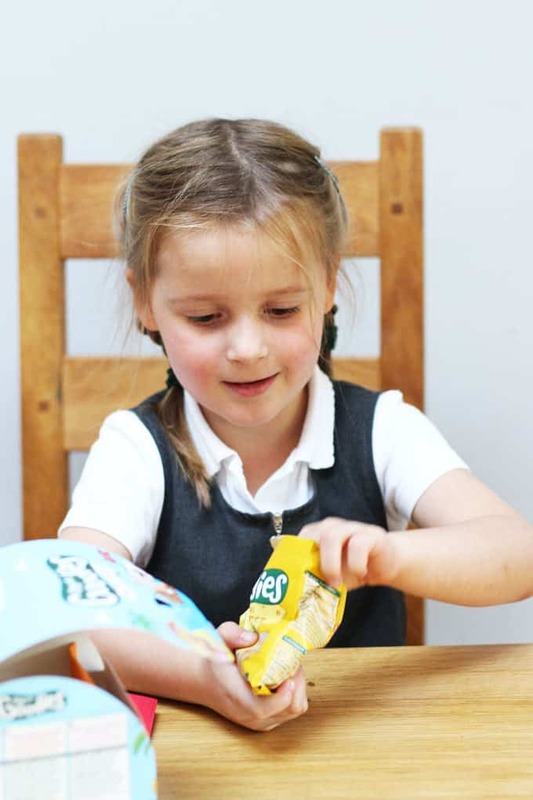 This year, I’ve been working with children’s food brand, Organix as one of their “No Junk Mums”. Each month they’ve sent us some products and set us challenges to get us thinking about eating better as a family. 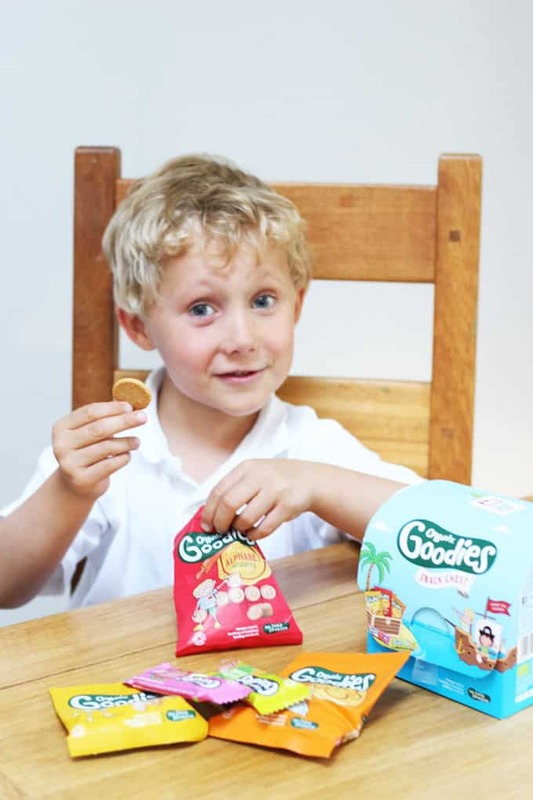 This month we tried some of their product in a fun “Snack Chest” (available from Boots.com). The kids loved the fun packaging and of course the snacks inside. The Alphabet Biscuits have always been a firm favourite in this house but even more so now that G&H have started school and can recognise lots of the letters. They loved laying these biscuits out and rearranging them to make words. Snack time plus phonics lesson, excellent multi tasking! 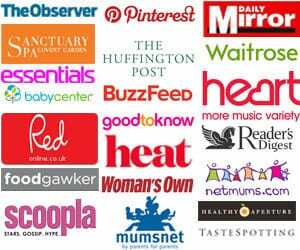 Organix have also produced a booklet of advice about toddler diets, called “Taste for Life”. It’s packed with helpful hints and tips for moving on from the initial stages of weaning. It includes lots of fun and thought provoking ideas to encourage your little ones to try new foods. 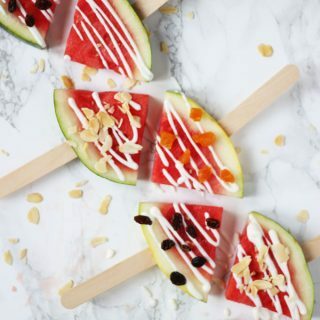 Our favourite is, and always has been, turning any types of healthy food into a ‘lolly pop’. When my two were younger, I used to pop new foods onto a children’s fork so they could wave it around and eventually have a taste. It’s amazing what a difference this used to make. 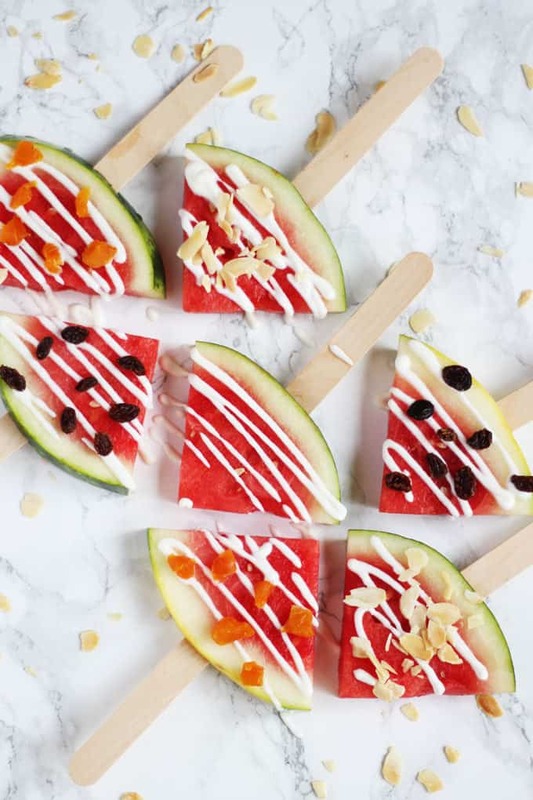 I have drizzled these watermelon popsicles with yoghurt to keep them healthy, but you could also add a drizzle of chocolate if you wanted to make them more of a treat. Make the food into funny shapes, like a face, by taking a bite out of it. Eat with lots of sound effects and encourage your little one to do it too, checking if food crunches or squeaks. Use cutters to make stars from the food and sing twinkle twinkle little star. Cut the food into different shapes, mix them up and then encourage your child to sort them out as they eat them. Try hiding new flavours in sauces and soups. Greens make them brilliantly colourful. Use new fruits and veggies to make smoothies. These are a really fun way to get heaps of goodness into little ones in one go. Cut each slice into quarters. Carefully cut a slit into the watermelon skin. 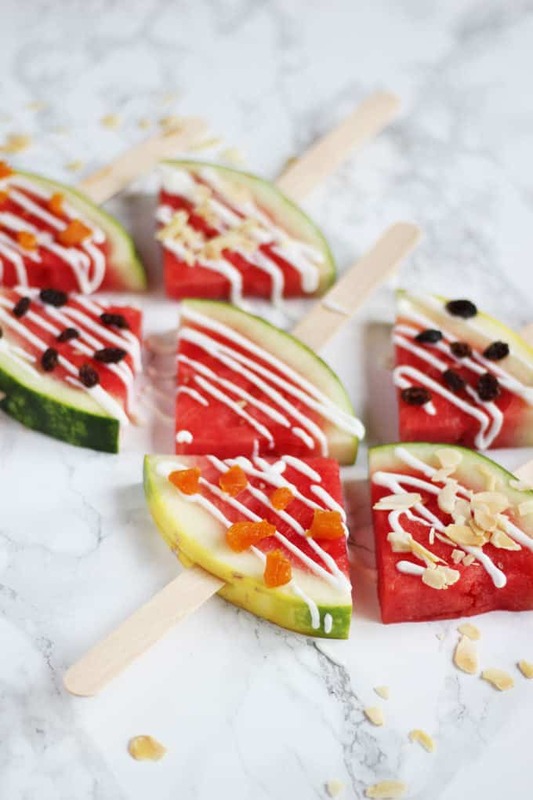 Poke in a lolly stick. Serve immediately or freeze for an iced version! Disclosure: This is a post sponsored by Organix although all opinions are my own and improving the diet of our children is a cause I feel strongly about. This post contains affiliate links. We used to love the Organic foods when Miss GF was little. Even now she still loves the Goodies Carrot Stix. They are a great company.